Today, jeans are a part of the fashion norm, but it was not always like this. In the late 1800s, denim trousers were worn by male workers and were known as waist overalls. On May 20, 1873, the first pair of blue jeans as we know them now, were born. In the 1920s, jeans became common wear for cowboys, miners and other workers, whose job exacted a heavy toll on their clothes. In the 1930s, Vogue magazine featured a fashion model dressed in jeans, indicating denim pants would become a fashion statement for women. In the 1960s, “bad boys” like Marlon Brandon and James Dean popularized jeans after which teenagers’ wholeheartedly started to embrace them. During that time, light washes and cuffed style jeans churned out by Levi’s, Wrangler and Lee were all the rage. The counterculture era of the 1960s made jeans a symbol of liberty and defiance. 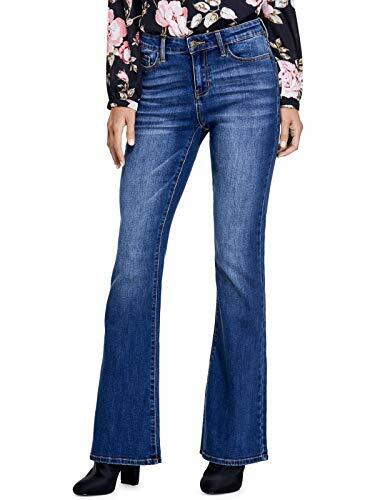 Popular styles included low-rise pants and bell bottoms. The 1980s was the era of designer jeans with brands like Calvin Klein and Gloria Vanderbilt being the most sought-after. Even men opted for designer jeans during this decade. 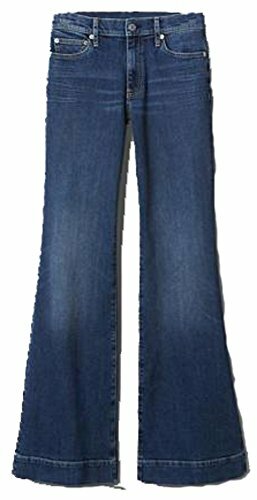 In early 2000, low-rising, hip-hugging jeans were popularized by pop stars like Christina Aguilera and Britney Spears but it was in the 2000s, when skinny jeans resurged, thanks to denim stretch technology. 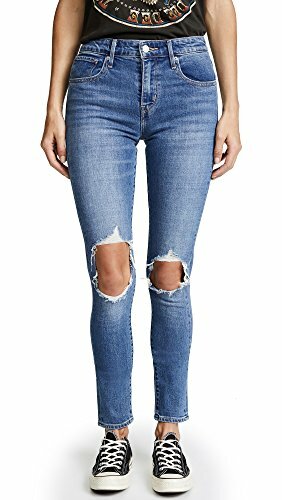 Today, there is a huge variety in the styles of jeans that you can buy, although the skinnier style remains popular among women. American Eagle Outfitters, popularly known as simply American Eagle, is a lifestyle clothing brand founded by brothers Jerry and Mark Silverman in 1977. The brothers later sold their ownership interests in 1991 to Jacob Price of Knoxville. The American Eagle brand targets both male and female college and university students. However, the brand has gained popularity among teenagers and adults as well. 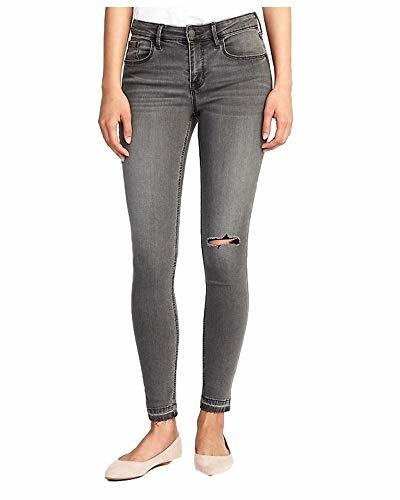 One of the most popular products of the brand are its jeans, especially the low rise jeans, though it also offers jeggings, high-waisted jeans, cropped jeans, skinny jeans and flared jeans. Currently, the brand has 933 stores throughout America. 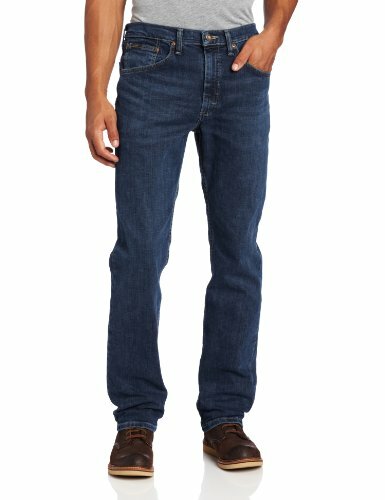 One of the three major American jeans brand, Wrangler, stands as an American icon. Wrangler’s journey began in 1897 when C.C. Hudson joined an overall factory in Greensboro, North Carolina and started sewing buttons there. In 1904, Hudson along with his friends and brother bought sewing machines a started the Hudson Overall Company. It soon changes its name to Blue Bell Overall Company. In 1943, Blue Bell acquired the Casey Jones Work-Clothes company, along with the rights to the name Wrangler. In 1946, Wrangler and tailor Bernard Lichtenstein began manufacturing a line of jeans exclusively for cowboys. This was the time when Wrangler as a separate entity came into being. Today, Wrangler not just stands for the rodeo lifestyle, but also for Western roots. The brand has gained a cult popularity across the world. This American lifestyle brand is owned by Abercrombie & Fitch and it first opened in 2000. Hollister Co. was created so that teenagers between 14 and 18 years of age could have access to a lower priced brand than Abercrombie & Fitch. The Southern California-inspired image of the brand has successfully made it one of the top most jeans brands in the United States. With the launch of its high-rise and boyfriend jeans, the company’s denim outlets have burst into the spotlight. Hollister has created bold statements with its brands of ripped jeans, timeless style and comfortable design that allow consumers to play with fashion. Their jeans are a nod to its laid back lifestyle. Lee Jeans is owned by VF Corporation, the largest clothing company in the world. The company was founded in 1889 by Henry David Lee and initially produced dungarees and jackets. It experienced unprecedented growth when it started producing Union-All work jumpsuits in 1913 and their first overall in 1920. The company later expanded into a children’s line. In the 1930s, Lee Jeans became the leading manufacturer of work clothes in the U.S. and in 1944, the lazy “S” became the official Lee back pocket. Nowadays, tis slim cut skinny jeans and flared pants are all the rage. Levis Strauss founded the company with his brother in law, David Stern in 1858. His company sold dry goods, including denim cloth. After one of his customers, a tailor from Reno named Jacob Davis, kept coming back for more denim cloth, Levi formed a partnership with the man and created work pants, reinforced by rivets on the pockets and flyers. The manufacturing of the denim overalls started in 1870 and modern jeans started appearing in 1920. However, sales were mostly restricted to cowboys, railroad workers and lumberjacks. During the counterculture era of the 1960s and 1970s, Levi’s jeans became immensely popular among the youth. 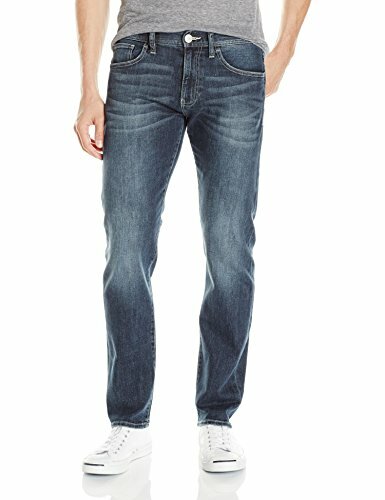 Levis’ shrink-to-fit 501s started selling out and today, these jeans are still Levi’s number one selling product. In 2017, Levi’s also collaborated with Google to create a $350 “smart” denim jacket. Lucky Brand Jeans was founded Vernon, California in 1990 and its products are available throughout the 150 outlets across U.S., Canada, Puerto Rico and Europe. It is also distributed in several major department stores including Nordstrom, Macys and Bloomingdale. Lucky Jeans have become extremely popular because for their bohemian style. Denim makes up about 60 percent of its business. Their biggest trademark is a flour-leaf clover with the slogan “LUCKY YOU!” stitched on the outside of the fly shield. One of its most famous jeans line is the “Farrah” line, which has formed a cult following among women. AG jeans also formed collaborated with Mavi to create The Indigo Move, which offers 24 women styles and 13 men styles jeans, in various shades of indigo, including ink and smoke. In the 1970s, beautiful actress, artist, author and designer, Gloria Vanderbilt took out her collection of perfumes, household goods and designer wear. She is notably known as an early developer of designer blue jeans. 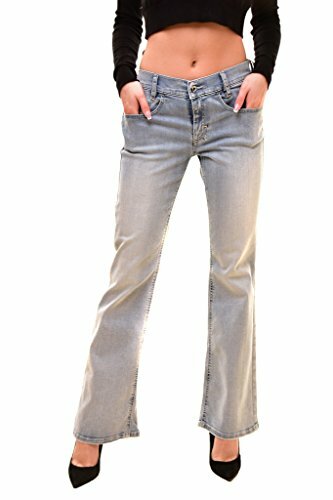 In 1976, Vanderbilt launched the first ever line of designer jeans, designed exclusively for women. Soon after, she introduced innovation in jeans by making stretch denim, adding her signature pockets and her swan icon. In 2016, the brand exceeded $300 million in wholesale revenue. Vanderbilt jeans brand come in three fashion lines called “Missy,” “Petite” and “Plus” and offers a wide variety of jeans styled for women of all color, shape and size. Georges Marciano and his brothers launched Guess Jeans in America in 1981. At the time, their number one top seller was the unisex jeans. Later, they borrowed a mottled wash that Marciano first saw at a Laundromat in Italy. During the time, jeans were only available in a indigo blue color or were bleached. In late1981, Guess was launched with its signature styled stonewashed jeans, red triangle patch and a zipper sliding up each ankle. It remained the most popular denim brand in the 1980s and was the first one to create designer jeans at the time. Founded in 1969 by Donald and Doris Fisher, the Gap Jeans have stood the test of time for half a century. Currently, Gap is extremely popular with men, women and children. Some of its best labels include the Gap Mid-Rise Classic Straight Jeans and Gap Mid Rise True Skinny Jeans for women. 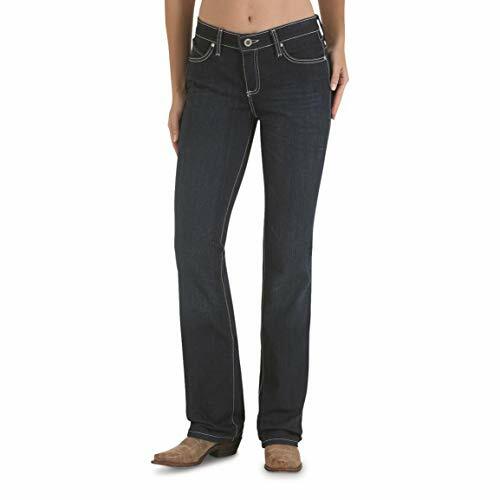 Their slim fit GapFlex jeans are very popular amongst women. Old Navy is also owned by Gap Inc. and came into being when Dayton Hudson Corporation, the parent company of Target, was looking to establish a less pricier version of Gap. Millard Dexter responded by opening the Gap Warehouse, which was renamed to Old Navy in 1994, in order to create a separate image form Gap. 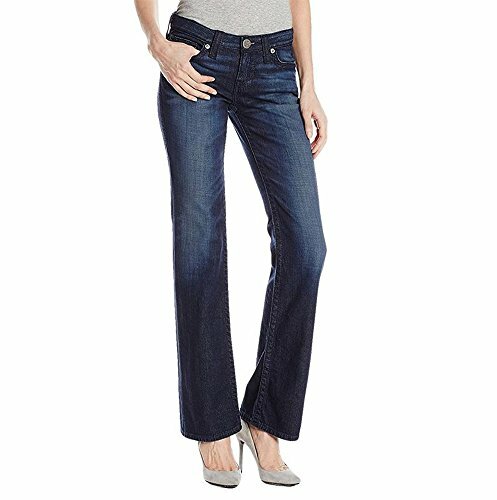 Currently, Old Navy’s high-rise and mid-rise skinny jeans are super popular among women across America, as well as its distressed and embroidered pants. Hudson Jeans was founded by Peter Kim in 2002, which sells premium denim apparel. The Hudson Jeans offer trademarked triangular back pockets with a Union Jack logo. Briotneu Spears and Cara Delevingne are fans of the brand. Currently, the brand sells classic styles that never go out of fashion. Diesel S.p.A is an Italian retail clothing brand based in Italy. It sells denim, along with other clothing as well as footwear and accessory. The brand showcases the grunge style that was so popular in the 1970s. Some of its best sellers are the skinny fit and distressed, ripped and torn jeans. Along with the jeans, it also focuses heavily on selling denim jackets, popular among both men and women. Founded by Paige Adams-Geller, Paige Jeans has the distinction of being the only denim company founded by a woman. The jeans brand is widely known due to its incredibly versatile and chic designs. One of Paige’s most popular jeans design include the Sarah Slim Exposed Buttons jeans, which feature three rows of buttons on either side of the fly. One of her more trendier designs also include the high-waisted jeans. s Madewell themselves said, they “make great jeans.” They also focus on accessories that go well with denim like every day jewelry, handbags and shoes. Their mission is that anyone should look effortlessly cool, artful and unexpected. Some of its best selling jeans including the boot-cut, button-front edition as well as the high-waisted version. Their skinny jeans and ripped jeans are also very trendy too. The Original Arizona Jeans Company was at one time a private label for teenagers at J.C. Penney. It now operates independently and offers a whole plethora of clothing items to teens, men and women, and not just jeans. 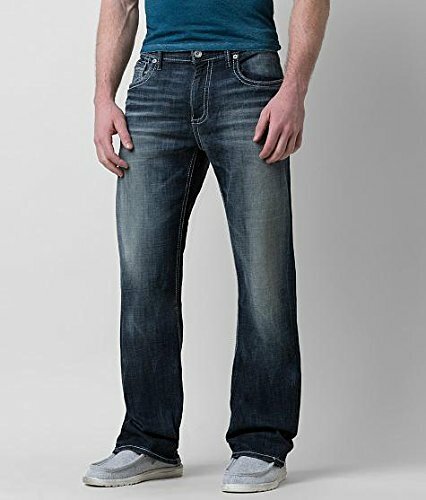 One of its most popular types of jeans is the boot cut version, as well as its relaxed fit labels. 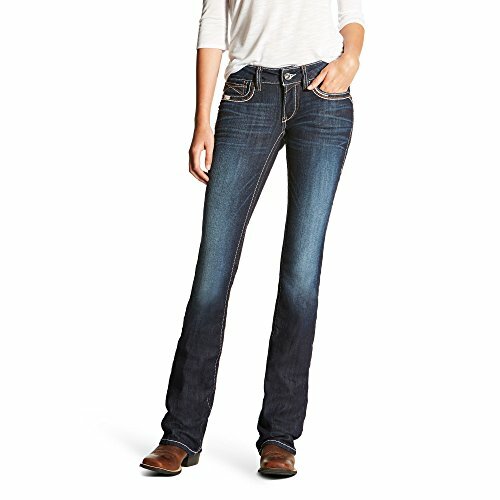 All jeans styles are available at J.C. Penney stores. In 2005, Express introduced a denim line called DPD. Unfortunately, it was discontinued. 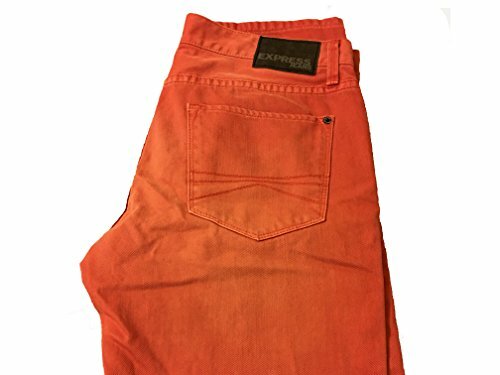 However, in 2009, Express again introduced a new denim line called Rerocks for both men and women. The jeans are characterized by stitching on the back pocket and the material is different. 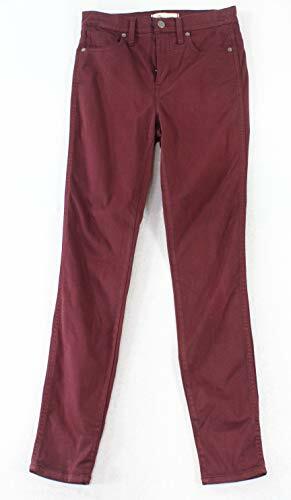 During the same year, they expanded with its low-rise Zelda jeans and introduced two new styles, with a barely boot cut version for women and men’s extra slim version called, Zach. 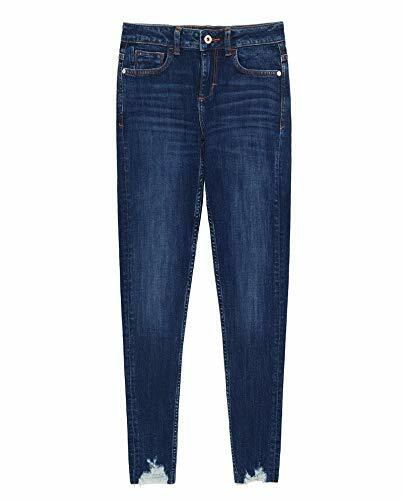 Express jeans come in different washed from dark indigo tones to the lightest, barely-there color. In 1974, Calvin Klein designed the tight-fitting jeans that went on to gross $200,000 in just the first week of their sales. Today, Klein’s jeans are sold at a premium but people are still ripping them off the shelves. 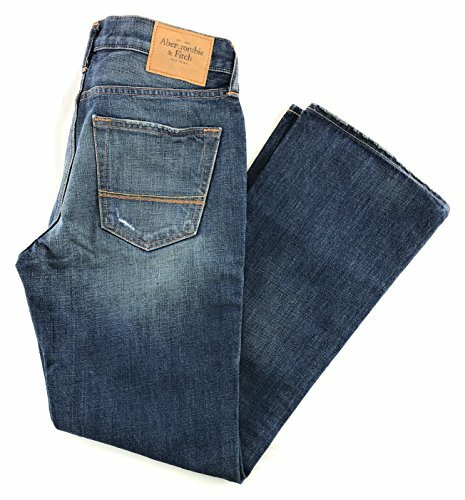 The mnml Jeans offers high quality yet affordable streetwear, including the best types of jeans. 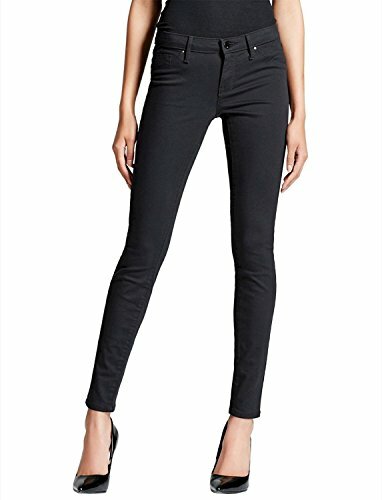 Their pants have “progressive silhouettes” and are sold at a fair price. 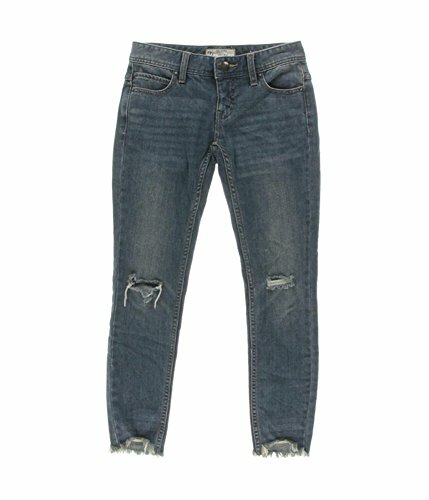 Some of the on trend jeans sold by mnml Jeans include splashed, distressed denim pants, skinny stretch jeans, repaired denim and stonewashed jeans that are perfect for an ultra casual street style. The company is owned by Silver Jeans Co. which produces denim products. Jag Jeans are very on trend these days, because of their cool new styles of jeans that offer maximum comfort. Some of their new technology jeans include the Cecilia Skinny, Ruby Straight Crop, Plus Bryn Skinny and Eloise Boot. What’s so great about Jag Jeans is that they provide some of the most versatile styles of pants for women with diverse backgrounds. Since its inception in 2002, Vigoss Jeans have focused on creating washes and treatments that bring out the best in your jeans. Today, Vigoss is famous for its high quality material and fit. Some of its most famous, currently trending styles include the Jagger Zipper Skinny and the Marley Mid-Rise. The premium brand for equestrian and outdoor activity, Ariat has made a name for itself because of its amazing jeans. The denim pants are constructed so that they are comfortable while on the ground or seated on the saddle of a horse. Some of its bestsellers include the Slim Truckee Stretch Boot Cut Jeans, the Tessa Wide Leg Trouser Jean and the R.E.A.L Mid Rise Splash Stackable Straight Jeans. Founded in France more than three decades ago, Buffalo David Bitton is a lifestyle brand which offers multiple denim styles that are fashion forward and translate across international boundaries. The brand’s target market is fashion savvy men and women between the age of 18 and 34 who look for effortless style. Some of its best styles include high rise jeans, jeans with frayed edges, distressed jeans and washed out jeans. Aeropostale is for those who dream of adventure. The brand serves young men and women, and offers then high quality, innovative and exciting designer jeans. Some of its bestsellers include the Flex Effects High-Waisted Ankle Jegging, Low Rise Skinny Jeans and Low Rise Bootcut Jeans. BKE Jeans prides itself on offering casual wear denim products, apparels, footwear and accessories to fashion savvy men and women. The company has 450 stores in the United States under the names Buckle and The Buckle. Some its trendy numbers include the Payton Ankle Skinny Stretch Cuffed Jean, High Rise Flare Stretch jean and the Boyfriend fit. emocracy Jeans is a woman-focused brand of casual denim wear for fashion conscious females. The brand offers women opportunity to remain current and provides an affordable and accessible way to meet her fashion choices. 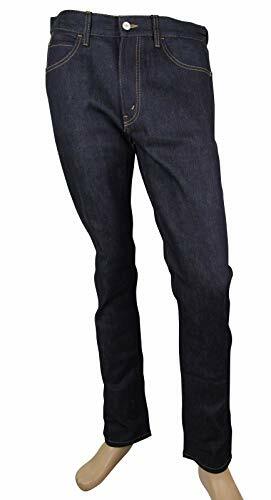 Some of the best jeans at Democracy include the Itty Bitty Boots, “Ab” solution Jeggings and Flex slim fitting jeans that are designed to fit every curve. One of the biggest fashion company belonging to Inditex; Zara has a wonderful collection of jeans and denim pants. The company offers some of the most unique designs of jeans, which include animal print skinny jeans, cheetah print mid-rise culotte jeans and high-waisted jeans in black zebra. Abercrombie & Fitch are synonymous with style and fashion. So, it is no wonder their jeans are all the rage. These days, the brand is showcasing vintage inspired fits like superhigh-rise jeans and low-rise denims. Their collection also showcases ripped jeans and bootcut jeans. When K-Pop band members hit the stage wearing Amiri streetwear, you know the brand is huge. Mike Amiri, the founder, has a brand that’s not just versatile in design but in its names as well. Some of the brand’s most creative jeans include the Art Patch Snake Jean, The Artist Broken Jean and the Crystal Painter Destroyer. Denizen from Levi’s offer the most limitless styles of jeans with flexiblestructure, comfortable fabrics, unique styles and a wide range of fits that suits everybody. The brand allows for flexibility in the way you move as well as adjusting to your lifestyle. Some if its best styles include the low-rise jeans, high-rise ankle zip jeggings and mid-rise modern slim cuffed jeans. A Japanese casual wear designer embraces the Japanese qualities of simplicity and longevity. The designer wear is accessible and affordable to all and has a modern yet simple design that translates into high quality. 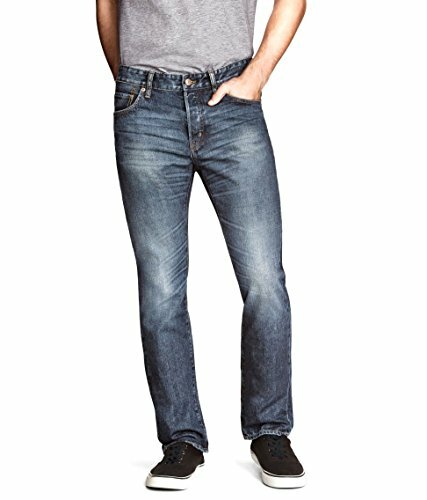 Some of its best jeans include men’s ultra stretch skinny fit jeans, men stretch selvedge slim-fit jeans and men’s regular fit jeans. Tommy Jeans, created by Tommy Hilfiger, is the brand that made the carpenter jeans an icon. Hilfiger continues to focus on maintaining his various fashion lines, some which are focused on casual clothes while other on haute couture. These days, the brand is popularizing the utility style baggy fit jeans, high-rise cropped jeans for both men and women and acid washed mom jeans. 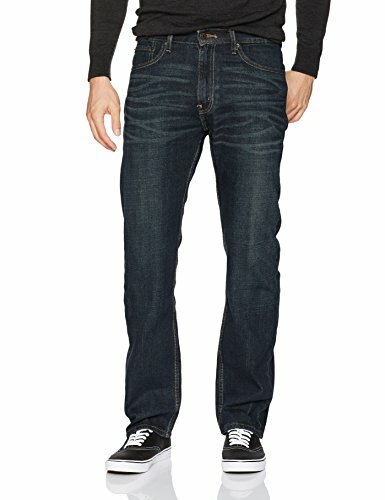 Flying Monkey Jeans was launched in 2004 and quickly became popular among young people because of its unique and contemporary style. The brand was created to accentuate the natural beauty of one’s body and to bring out the style of each individual. The brand offers fits that are shaped for every figure. Some of its best styles include the Mid-Rise Cropped Flare Jeans and the High-Rise Ankle Stretch Jeans. NYDJ Jeans are made for women by women. The brand was created in 2003 when great jeans for women of all styles were not readily accessible. Many jeans were not stylish, were uncomfortable for plus-sized women or hung too low on the hips. NYDJ Jeans crafted the perfect jeans that are just right for you. 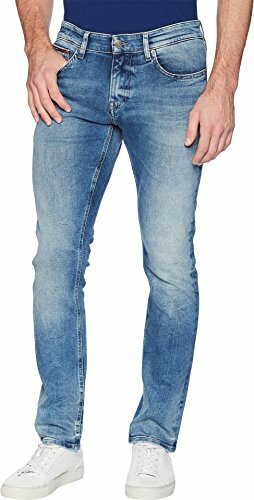 Within its impressive collection of straight jeans, pull on jeans, slim jeans and skinny jeans, you can find the perfect jeans that fit you the best. 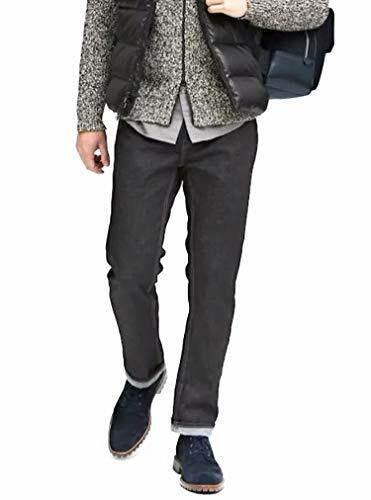 An all-American junior lifestyle jeans, Wall Flower Jeans offers a wide variety of washes and fabrics that give you effortless style in an exceptional value. Some of its best styles include the stacked high-waisted skinny jeans, the legendary bootcut jeans and the ultra fit skinny jeans. Created in 19709, the Big Star Jeans offers the best high quality and top designer jeans. The jeans brand is for the artistic, modern individual, who want to look fashion conscious without making too much of an effort. Some of its best selling jeans include the Terry 655 and the Martin 395. If you don’t mind spending hundreds to thousands of dollars on a pair of jeans, you can’t go wrong with Armani. The designer wear is best known for luxury couture, but its jeans are also one of the most sought after. 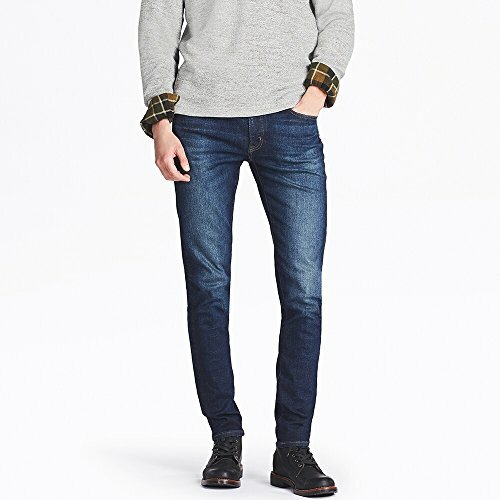 Some of its best styles include the twill cotton denim jeans and the slim fit style. The Swedish multinational clothing retail company sells some awesome jeans. The company was founded in 1947 and has over 3000 stores all over the world. What’s so great about it is that it offers highly affordable jeans. Some of its best rending styles include the slim mom jeans, the shaping skinny high jeans, high-waisted denim culottes and super skinny high jeggings. 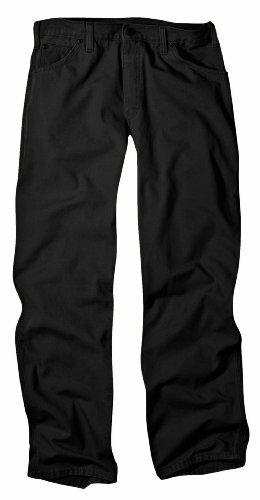 Dickies Jeans are known for selling some of the best work related apparel and other accessories. The groundwork for the company was established in 1918 and now sells its apparel throughout the world. With a very boho-chic style, Earl Jeans are one for the winner. 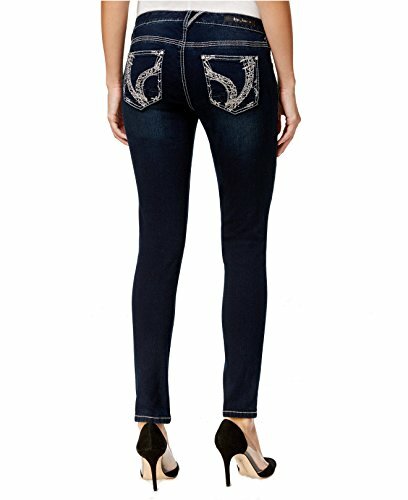 Usually, you do not see any bling on jeans; however, Earl Jeans offers you these trendy designs. In fact, men can also get their jeans from here. Some of their best styles include the super tight jeans, cuffed jeans, denim jackets, ripped jeans and even denim shirts. Ariya Jeans offer modern contemporary style of jeans but with lots of functionality and comfort. 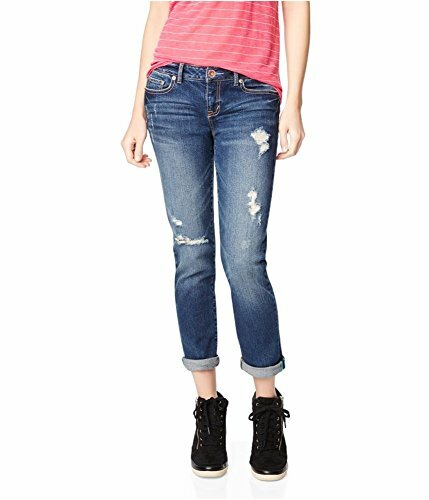 The jeans designer wear focuses on women and offers them the best jeans that they need in all walks of life. Some of its best styles are the Ariya bootcut jeans, the curvy straight leg jeans, the denim low-rise jeans and embroidered jeans. Mossimo was founded by designer Mossimo Giannulli in 1986 and specializes in apparel for youth and teenagers. The brand is sold in over 1,700 stores within the United States and it has 600 stores internationally as well. 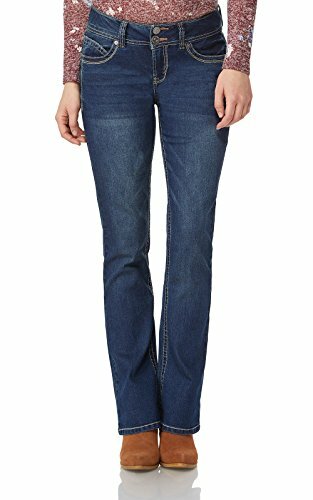 Some of its best designs include women’s high rise velveteen skinny stretch jeans and high-rise, flare medium wash jeans. The Italian luxury brand, Gucci, naturally sells some of the most phenomenal jeans as well. In fact, in 1998, the Guinness World Records recorded Gucci “Genius Jeans” as the most expensive jeans in the world. 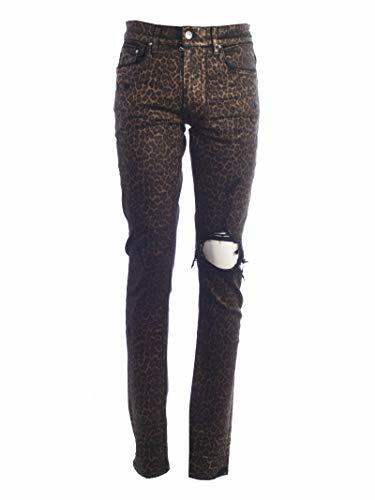 The jeans were sold for $3,134 in Milan and were ripped, distressed and covered in African beads. Since then, other labels have broken this record. Gucci jeans offer some of the most eclectic styles of jeans including black and white marble washed skinny denim pants and a daring zebra-motif, yellow skinny pants. Everlane Jeans sells primarily online and was first established as a menswear store. The company was revealed to sell stylish garments at quite low pricing with transparent pricing. Now they cater to women as well and actress Angelina Jolie has been spotted donning its accessories. Some of their bestsellers include the slim0strsight jeans, the skinny jeans, the kick crop jeans and the boyfriend jeans. The original Banana Republic was opened by Mel and Patricia Ziegler in 1978. The couple had a fondness for collecting interesting items of soothing form across the world. However, the label was later acquired by Gap in 1983. These days, the company sells wonderful jeans, among other clothes, at premium prices. Some of its bestsellers include the Athletic Tapered Rapid Movement Denim Medium Wash Jean and the Slim Fly-Weight Traveler Jean. Like the name indicates, Free People is an American bohemian lifestyle clothing brand that caters to women. It offers beauty and wellness products as well as attire. 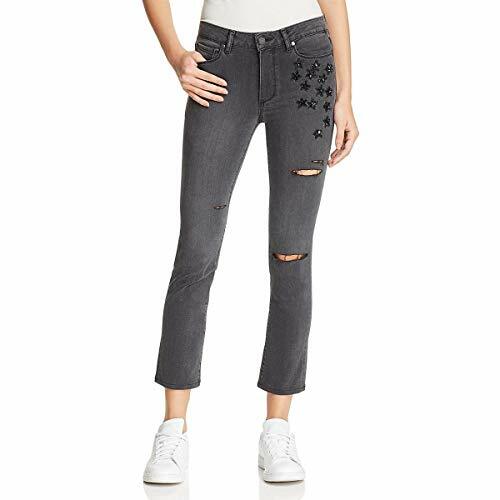 Free People offers some of the flirtiest types of jeans styles in the market. 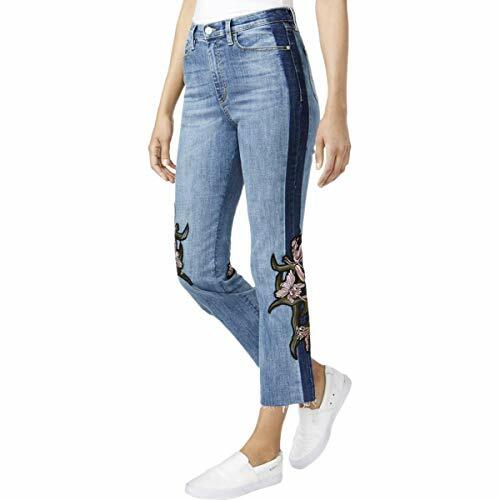 Its styles include the daisy jeans, blue jeans scattered with tiny embroidered daisies and embroidered fruit jeans. The multi-brand specialty retailer offers an assortment of men’s and women’s and children’s apparel, swimwear, loungewear, outerwear and denims. In 1947, Mitchell Cinader and Saul Charles founded Popular Merchandise, Inc. Later, It became known as J. Crew. Then, in 1989, the company opened its first retail store. 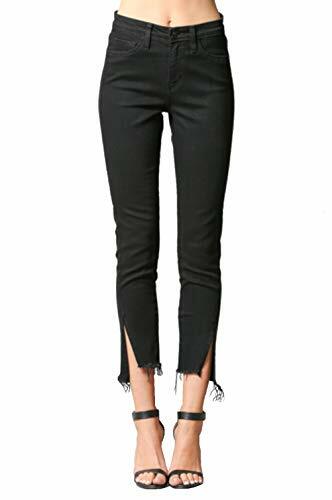 Today, the company sells some of the trendiest clothes including High-rise Toothpick Jeans and High Tower straight jeans with let-down hems. The Italian fashion designer brand was founded in 1913 by Mario Prada. Today, it is a huge name in not just haute couture but in street wear such as jeans, as well. Currently, Prada sells premium priced jeans that range from hundreds to thousands of dollars. 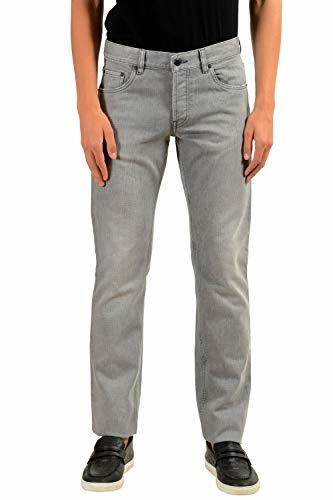 Some of its most popular denim pants include the 5-pocket stretch denim jeans and tapered-fit washed denim jeans. Finding the best jeans now is just a few clicks away. No matter what your size, shape or color, with the number of jeans styles available in the market, you can be sure to find the one that’s perfect for you. *The above chart and list of jean brands is based on the volume of online monthly searches for each brand using 3rd party software. It is not based on sales volume or other metrics.